2017, Zhang P. et al. NBTXR3 has been evaluated in numerous in vivo models. The antitumor efficacy was systematically enhanced in terms of tumor growth delay for animals treated with NBTXR3 and exposed to radiotherapy when compared to radiotherapy alone. 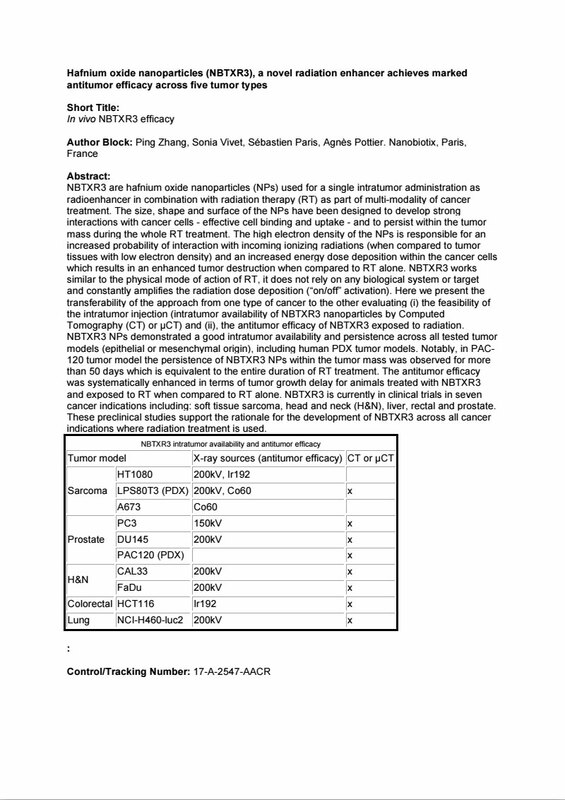 In this abstract the transferability of the treatment with NBTXR3 from one type of cancer to the other is described.